In this clip from the series Rusty Rivets, Officer Carl is super busy so Rusty and the bits step in to give him a hand! In this clip from the series Rusty Rivets, aliens have taken over Rusty's lab and they want to play with him and his friends! In this clip from the series Rusty Rivets, Sammy battles with a squirrel for the last of his sorbet's secret ingredient! In this clip from the series Rusty Rivets, Ruby takes Crush for a plane ride, but a broken gear stick and no light makes landing very difficult. Time to bolt! In this clip from the series Rusty Rivets, Liam builds his very own spaceship and asks Rusty if he can re-attach its laser light for him, but that's not the only modification he makes! Modified, Customised, Rubified! Ruby shows us what a great inventor she is in this clip from the series Rusty Rivets, where she builds zookeeper Anna a mechanical pet! The Bits find a satellite crashed in the scrapyard, Rusty must find a way to get the satellite bit back to space, in this clip from the series Rusty Rivets. In this clip from the series Rusty Rivets, Liam shows off his awesome throwing skills but loses his favourite toy in the process. Luckily, Rusty is on hand with Botosaur to help! Mr Higgins' remote control plane won't land, will Rusty manage to replace it's antenna? Find out in this clip from the series Rusty Rivets. In this clip from the series Rusty Rivets, Rusty and Ruby come across a stationary circus train and with the help of Botosaur, they get it on the move again! Liam is super curious and full of ideas, which makes him great company for his friends Rusty and Ruby, find out more about him in this clip based on the series Rusty Rivets. Meet Ruby! She's never short of imagination or energy, learn more about her in this clip from the series Rusty Rivets. 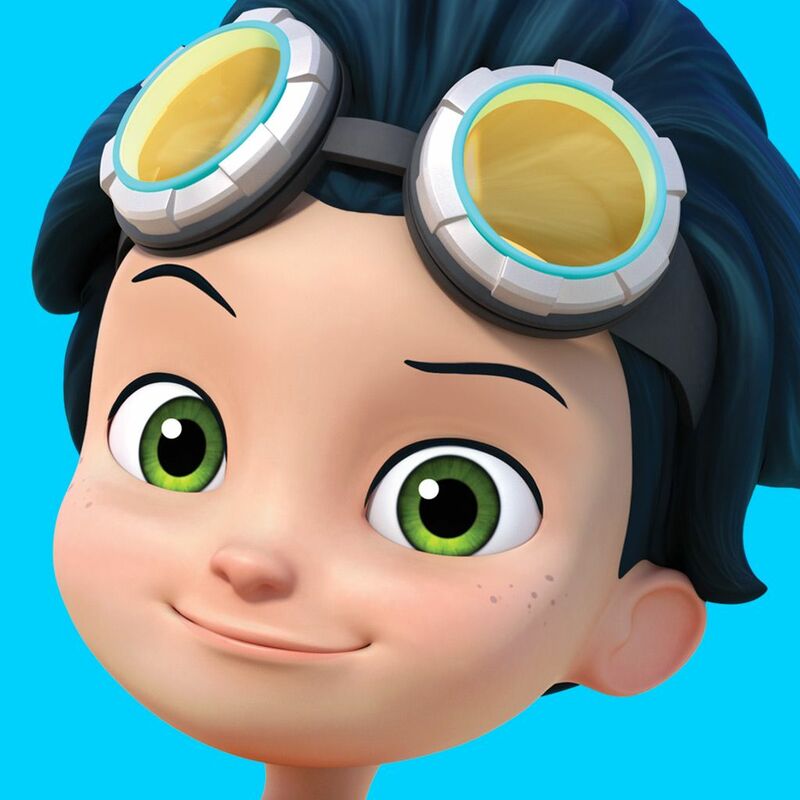 Meet Rusty, the master mechanic from the series Rusty Rivets. He's full of ideas and is always creating something to help others out! Introducing Rusty, Ruby and the bits, find out all about the show Rusty Rivets, full of inventions and adventures! Modified, customised, rustified! In this clip from the series Rusty Rivets Liam loses Rusty's favourite screw driver, so the team make a Vacuum to help find it amongst Liam's messy rivet lab. It's Liam's birthday, but the theme park he wants to go to is closed! Rusty uses his engineering skills and comes up with an excellent solution, in this clip from the series Rusty Rivets. In this clip from the series Rusty Rivets, Rusty and Ruby combine it and design it and make a multi-armed rubbish picker crab 8000, to clean up the lake! Poor Big Fish can't stop sneezing! He needs tp get to the animal park, so Rusty and Ruby hatch a plan to transport him there, in this clip from the series Rusty Rivets. Rusty tries to fix a leak, but ends up with a much bigger problem, find out what it is in this summery clip from the series Rusty Rivets. Rusty and Ruby build a cupcake flinging robot that begins flinging all sorts of other objects! Will they be able to fix it? Find out in this clip from the series Rusty Rivets.